Third week! I’m really loving getting fresh garden items every week! 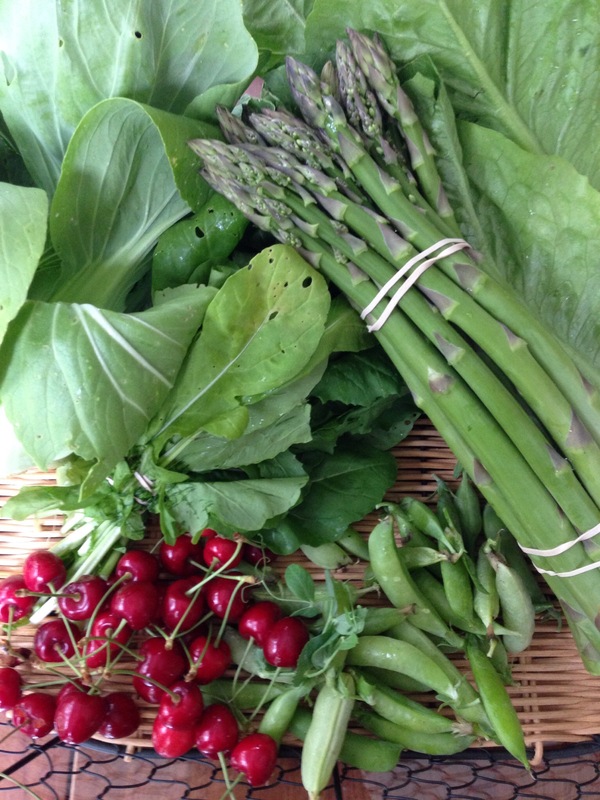 This week I received arugula, romaine lettuce, sugar snap peas, bok choy, and cherries. 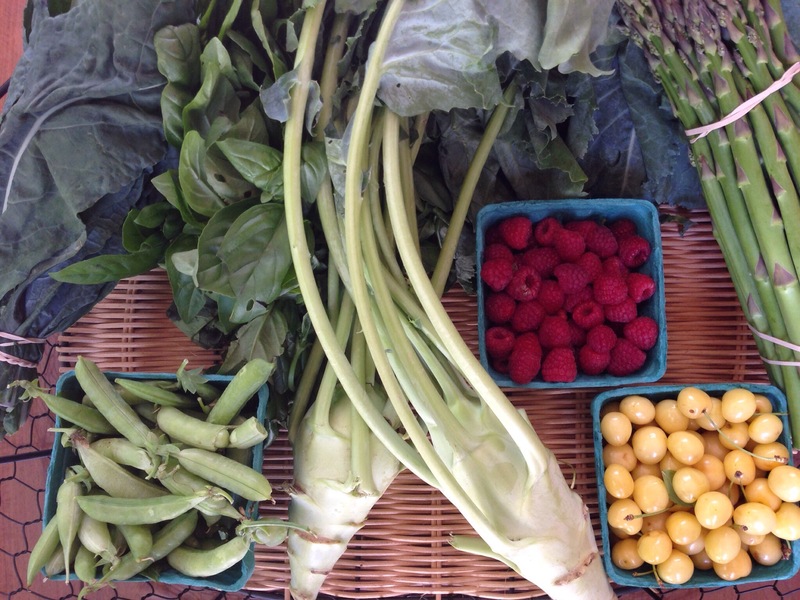 Click here to read about my CSA week 1 and week 2. Lunch- I combined arugula and the romaine lettuce for a salad. I topped it with left over BBQ chicken that I cut off the bone from last week’s friends BBQ. Click here to read about the menu! I also added red peppers and carrots. Click here to read about all my dinners from the week of June 21st!